The crew of the OTTER makes every effort to be different in appearance and attitude than much of the Revolutionary War living history community. This is for a purpose. Other organizations make certain concessions to authenticity in order to accommodate a greater number of renactors. Though we do not criticize this practice, and feel it serves a real purpose in the world of living history, we choose to be a little different. We define ourselves as a military organization, in that as we represent a fighting force of the 18th century and we act like sailors, to the extent that being on shore will allow. During duty hours, we follow proper military protocols and sailors are expected to live a sailor's life. Our clothing is hand-finished and the materials all linen and wool, like what the sailors of the OTTER would have worn. Our camps are Spartan, just a sail rigged as a shelter, an occasional tent (borrowed from the army) and a tin kettle at most. The purpose is to present a faithful representation of what life in the Royal Navy was like to those who hope to learn from the events we attend, but also that we may have a deeper appreciation for the lives of the men we say we represent. This sort of living history is not for everyone. There are high expectations on all members, but they are quite attainable, and for those who do, very rewarding. The task of being as authentic as possible may seem daunting at first, but there are many members standing by to assist with material acquisition, patterns, contract sewing services if needed, and overall help and advice to get you kitted out. Plus, you will have the satisfaction of knowing that you are at the peak of the living history experience, not only educating the general public, but yourself as well. There is a gratifying feeling knowing that you what you are doing, you are doing right, and you will soon find that you will be eager to continue to push the envelope. Along with this, you will find camaraderie among those around you. To those willing to take up the challenge, we welcome you. If you have an interest in the American Revolution, and would like to join in our efforts, contact us at info@hmsotter.org for a membership form and Sailor's Manual. 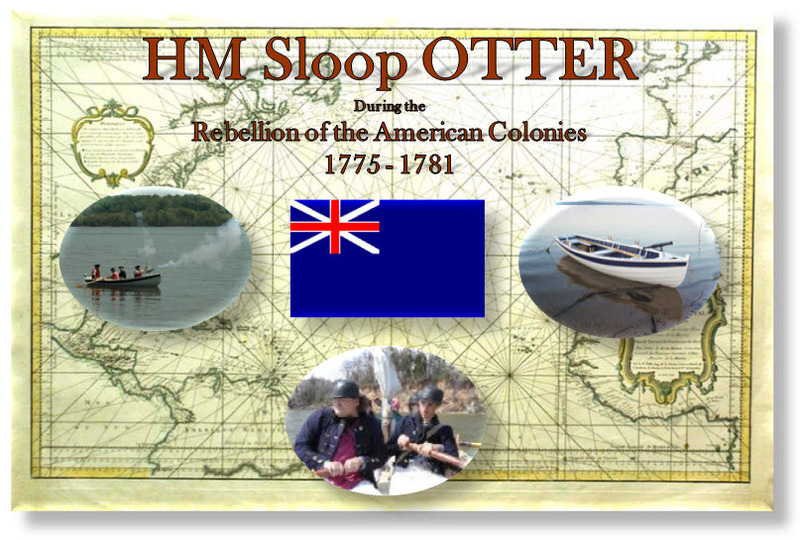 HM Sloop Otter sailor - Royal Navy Sailor during the American Revolutionary War. Fort Norfolk Garrison, 1812 - 1815 - A soldier in the 20th U.S. Regiment, or a militiaman in the 2nd Virginia Regiment of Militia. Members can be involved in all of these impressions or just one of them.